Cash home buyer in St. Louis, MO. Evervest Home Buyers has been buying and selling homes "as-is" for cash in St. Louis since 1996 and are the premier As-Is home buyer in the St. Louis, MO area. If your current home or property isn't ready for the competitive St. Louis real-estate market, or if you're looking to sell your home quickly without the hassle of closing costs, agent fees, inspections, or other costs typically related with selling a St. Louis property, we can help. 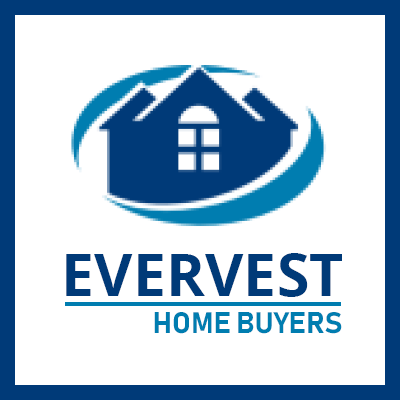 Evervest Home Buyers specializes in providing St. Louis Homeowners with fair market deals for their damaged, unwanted, or unprofitable properties that they can't seem to sell. We understand the hassles of selling a St. Louis home, and we want to provide you with an easy, no-nonsense, all cash solution for your home or property. Don't see your home type listed here? Call us! We can help. 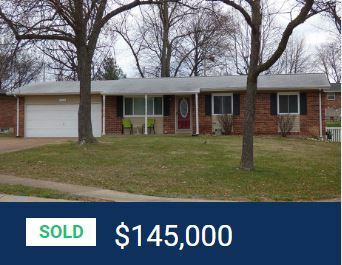 Are you looking to "sell your house for cash" in St Louis, MO? Robang Properties is a local St Louis contracting company that has been purchasing and repairing all types of homes and properties (whether they're damaged or not) since 1999. In doing so, we're able to offer home and property owners more for their properties! We want to give you cash for your St Louis home. We will provide you with a free consultation, and we may cover normal title company closing costs! We've been buying and fixing distressed homes and properties for over 15 years. We can help make selling your home easy. Robang Properties is passionate about creating the most simple and honest process for our clients. We offer a free no obligation consultation, quick closings, no costs or fees, and all-cash offers! We are highly skilled home buyers that can come out to your home for an inspection and present you with a cash offer guaranteed to be the best fair market cash offer. Our Objective: To Sell Your Home! We want to give you cash for your property regardless of the condition. Selling your home or property can become stressful and expensive. Our goal is to make selling your home painless. You won't have to worry about paying for closing costs, commissions, or repairs to appease demanding home buyers. We are home buying experts, and we want to help you sell your home or property. Contact us today for a cash offer on your St Louis home. 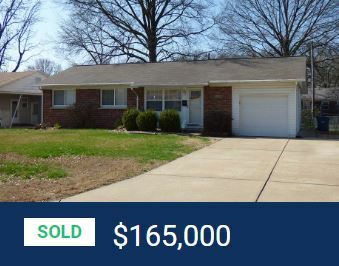 Are you looking to "sell your house" in St Louis, MO? Robang Properties is a local family-run contracting company that has been purchasing and improving homes and properties in the St Louis area since 1999. Buying and repairing houses and properties gives us the ability to provide homeowners with the best fair market all-cash offer. We take on big and small property projects including estates, commercial property, undeveloped land, and condos. We strive to make the home selling process smooth for our clients by offering free consultations, quick closings, no inspection hassles, cash offers, and at no cost to you! 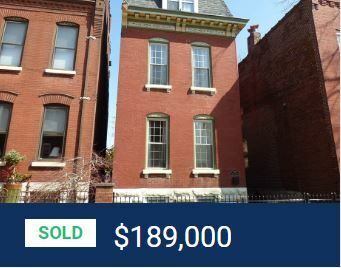 Robang Properties is made up of experienced cash home buyers and we want to buy your St Louis home or property. Our no obligation consultation enables us to send a home buying expert out to inspect your home or property and give you the best fair market offer. If you decide to accept our offer we will set up a quick closing, usually within 14 days! Not only do we offer a free no obligation consultation, we also pay cash for your home as-is! Because we purchase homes as-is we eliminate the inspection hassles, saving you money and time. Our Goal: To Purchase Your Home! If you're looking to sell your house fast or if you're home has been on the market for an expansive amount of time, let us help you. We have over 15 years of experience in buying and repairing homes and properties. Robang Properties' process will make selling your home feel effortless. Contact us today if you want to sell your St Louis home. 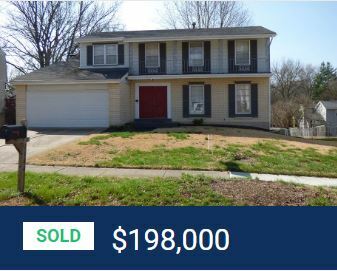 Are you looking to "sell your house fast" in St Louis, MO? Robang Properties strives to make selling your home quick and simple. If you're having trouble selling your home or want to sell your house fast, contact us today. We've been buying houses and properties in the Greater St Louis area for over 15 years! We provide our clients with a hassle-free process, and we never ask for any money from you. Our passion is buying homes and properties (regardless of their condition). We want to help you sell your house fast. We can have an expert home buyer come out to your home for a free no obligation consultation and present you with the best fair market all-cash offer. This is a no-pressure and commitment-free process! If you do decide to accept our cash offer we will set up a quick closing, that can take place in as little as 14 days! We want to make selling your St Louis home easy. That's why we've created a stress-free no obligation process. Robang Properties buys and repairs troubled homes and properties, which allows us to offer you more for your home or property! Contact us today for a quick closing on your St Louis home. Do you want "cash for your house" in St Louis MO? We're cash home buyers in St Louis, and we want to buy your home or property. We take on all types of houses and properties (good and bad condition) including commercial property, estates, undeveloped land and more! There is no project too large for Robang Properties to handle. We strive to make selling your home stress-free! That's why we provide our clients with a free no obligation consultation and all-cash offer, meaning there are no hidden costs or fees for you! We've been buying and repairing St Louis homes and properties since 1999 and we want to help you sell your house. An experienced home buyer will come out to your home or property for a free consultation and provide you with an all-cash offer. If you accept our offer, we will set up a fast closing (within 14 days), at NO cost to you! We are dedicated to providing our clients with a hassle-free and smooth process. We understand how nerve racking selling your home can be. We make the transition easy with our free consultation and all-cash offer, we never ask for any money from you. We may cover all normal title closing fees and there are no commission fees to pay! Contact us today to sell your St Louis home with no cost or fees..
Is it time to "sell your house" in St Louis, MO? Robang Properties is guaranteed to provide you with the best fair market offer for your home or property. We are a local family-run contracting company that prides ourselves on making the sale of your home simple. We purchase all types of homes and properties including condos, estates, undeveloped land, and commercial property. Our process is straightforward; we want to give you cash for your home, and we make it easy. We are seasoned home buyers who want to make selling your home painless. We've been purchasing and repairing as-is homes and properties (in good and bad condition) since 1999. We aim to make selling your home easy, with our commitment-free consultation, no fees, cash offers, quick closings, and no inspection hassle process clients feel at ease when selling their property to us. We recognize how bothersome it can be to sell your home. We don't want you to pay ridiculous amounts of money for repairs and commission fees, that's why we provide clients with an uncomplicated non-commital process. Our home buyers make sure you're offered the highest price possible for your St Louis home. Contact us to get the highest buying price for your St Louis home. 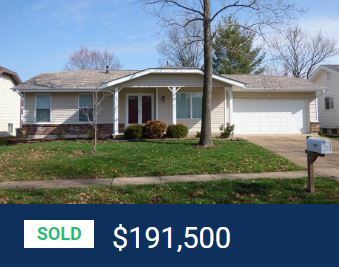 Are you looking to "sell your house" in St Louis, MO? Whether your house has already been on the market for some time or you're looking to sell your home fast, we can help. Robang Properties is a family-run contracting company that has been buying as-is properties in the St Louis metropolitan area since 1999. We purchase all types of homes and properties (whether they need repair or not) including condos, commercial property, estates and undeveloped land. Our Mission: To Sell Your House! We want to give you cash for your home no matter the condition. We buy and fix distressed homes and properties, which gives us the ability to offer homeowners more for their homes. We understand the amount of stress that comes along with selling a home, from the long list of maintenance and repairs to the unreasonable demands of home buyers. That's why we strive to make selling your home incredibly easy starting with our free no obligation consultation. 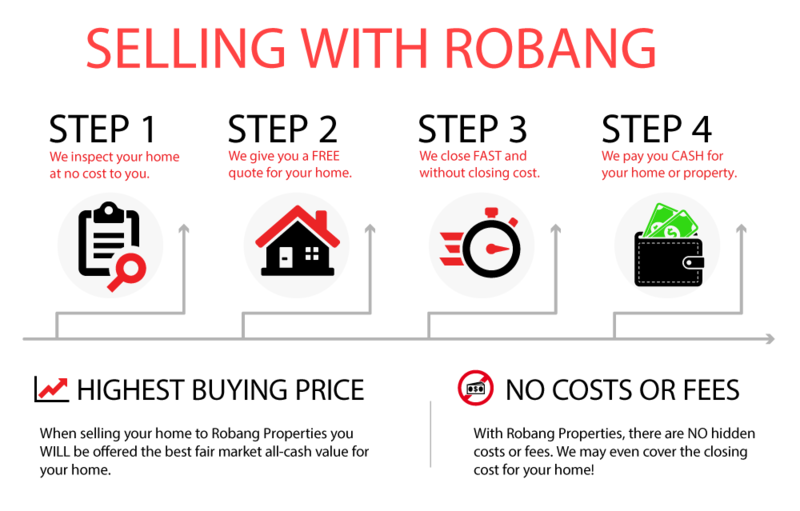 Robang Properties makes selling your home effortless. We will send our home buying experts out to inspect your St Louis Property (at no cost to you) ensuring you receive the highest price for your home. We're cash home buyers and we take on all types of "as is" homes and properties. There is no project too big or small for Robang Properties. Contact us today to get cash for your St Louis home. Do you need to "sell your house" in St Louis, MO? We're highly-skilled home buyers who have been buying and repairing homes and properties in the Greater St Louis area for over 15 years! If your house has been stagnant on the market or if you're looking to sell your house fast, let us know! We purchase all types of homes and properties in various conditions. We buy homes and properties as-is, meaning you don't have to deal with the hassle of inspections, which saves you time and money! Our Motive: Selling Your House! We are professional home buyers in St Louis, and we want to give you cash for your house. Our mission is to make selling your home extremely easy and stress-free! Our no obligation consultation includes having a home buying expert come out to inspect your home or property and provide you with an all-cash offer! There are no commission fees, and you won't have to deal with inspection hassles because we'll buy your home as-is in cash! Selling your home can be aggravating and costly, from the price of real estate commission fees to the exacerbating demands of home buyers. We thrive on making the home selling process as effortless as possible for our clients by providing them with free consultations, all-cash offers, no fees, quick closings, and no inspection hassles. Contact us to sell your home without inspection hassles.